Car designers can do some amazing things when they’re left to create without the shackles of production costs, class conformity and safety legislation. That’s what makes concept cars so exciting. The 2015 Geneva show was full of brilliant concepts, so here are our ten favourites. 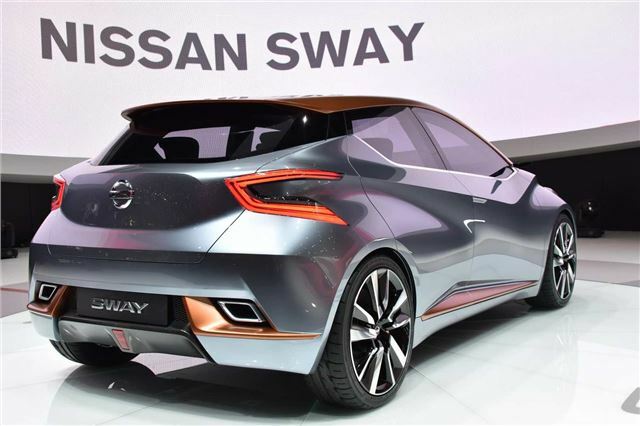 At first glance the Nissan Sway looks like 2025’s family hatchback. What makes it so exciting, however, is that it’s actually 2016’s Micra. Yes. Obviously the actual production Micra won’t look anything like this, no matter what Nissan says. But even if it adopts half of the Sway’s rakish style, it will be ten times more exciting than today’s Nissan supermini.